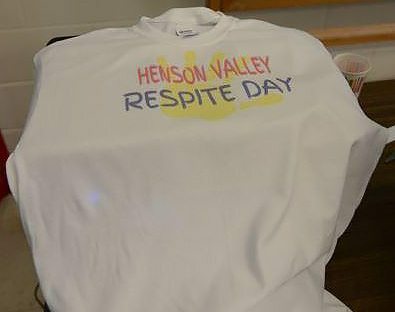 However, through a journey that the congregation undertook with the help of Hope Partnership, Henson Valley has learned to do church differently, discovering that there is strength in its diversity. The transformed congregation now sets the table of fellowship quite well. Whether a neighborhood has changed, attendance has declined or a building is too spacious for the existing congregation, there are many reasons for a church to embrace transformation. “A congregation’s lifecycle is like a human’s lifecycle; there are different phases, ebbs and flows, various opportunities to discern a new path,” says Bethany Watkins Lowery, director of Development for Hope Partnership. “We work with congregations at many different stages, but too many Disciples churches simply cannot find room in their budgets to take advantage of our transformational resources,” she says. The Cana Fund was established by a couple of generous supporters who recognized trends and how important it is to help Christian Church (Disciples of Christ) congregations participate in transformational services, which include Hope Partnership’s Mission Pathways and Epiphany processes. When an individual member of a congregation pledges $500 toward a congregation’s use of a transformation service, the Cana Fund provides a matching grant. “To date, Cana Fund grants have supported 23 journeys of congregational transformation,” says Bethany. With a grant from the Cana Fund in 2014, Henson Valley Christian Church entered a time of deep reflection about what it means for them to be disciples of Jesus Christ. Through their work with Hope Partnership and under the leadership of their pastor, Martha Brown, the congregation asked how to better serve individuals in their area. After several months of seeking God’s guidance on ways the congregation could become more open and accepting of people with physical and intellectual challenges, they decided to reach out to organizations to create a stronger network of support. The congregation has established strong partnerships with The Arc of Prince George’s County, an organization that exists to provide support and services to the differently-abled and their families, and the local school system. Whether it’s becoming more community-focused, making bold decisions about the future or grasping a clearer sense of purpose, Cana Fund grants help struggling congregations gain access to their future story of transformation. For more information about the Cana Fund, contact Bethany at bwlowery@churchextensionfmr.org, 800.274.1883. Visit www.hopepmt.org to learn about Hope Partnership’s various transformational services.